Mila Gascó-Hernandez , (April 2018). 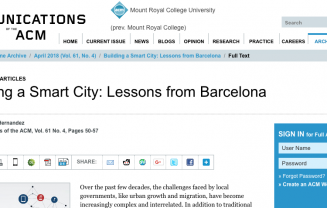 “Building a Smart City: Lessons from Barcelona”. Communications of the ACM, Vol. 61 No. 4, Pages 28-31.